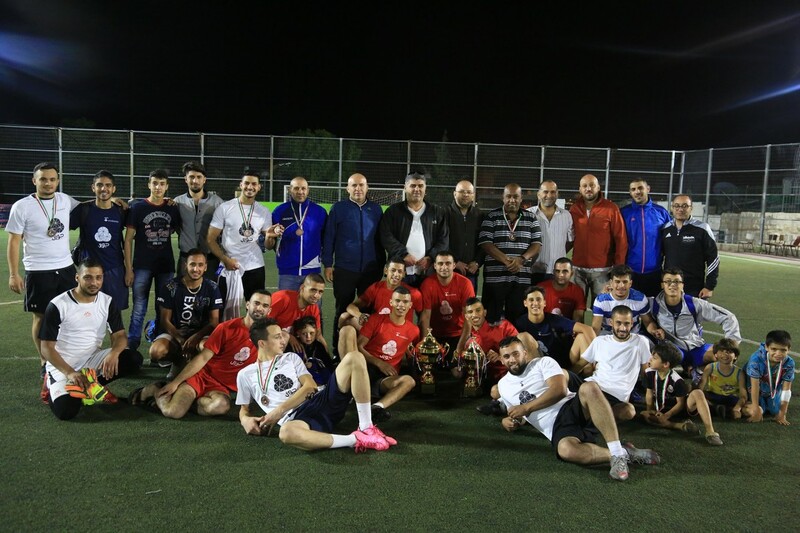 Burj Al-Luqluq Social Center Society organized the Jerusalemite Neighborhoods Ramadan Tournament sponsored by Jawwal. The tournament was organized on Burj Al-Luqluq football field with the participation of a number of neighborhoods from the Old City and their committees. The competition started with a good spirit as the player Wisam Hijazi from Al-Sa’diyeh neighborhood stressed that the purpose of this tournament is to connect people from Jerusalem and gather them on one goal which is the love of Jerusalem, in addition to enhance brotherhood among. At the end of the tournament the winning teams received their prizes as Bab Hutta came first, Al-Nasara neighborhood came second while Al-Sa’diyeh came third and Al-Wad came forth.